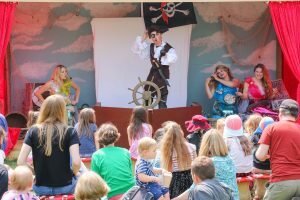 Ahoy Landlubbers, the stage is all set for our BRAND NEW event, the Mermaid and Pirate Festival! 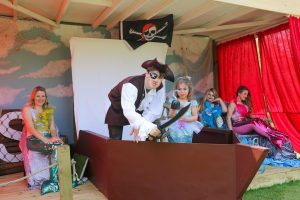 We’ve built a pirate ship stage for the kids to watch the story telling and sing along shows at periods throughout the day! 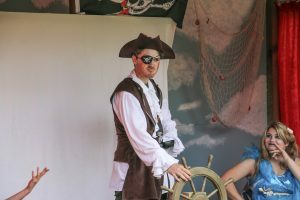 Your children could dress up as Long John Silver, Blackbeard or the famous Flame Haired Pirate Anne Bonny who terrorised the seas around the Bahamas in the 1650’s – The golden age of piracy. Or if mermaids are more your thing, then why not dress up as Hans Christian Andersen’s Little Mermaid who lives forever in the beautiful statue in Copenhagen or one of the deadly sirens from Homers Odyssey, who bewitched sailors with their beautiful songs, so they’d crash their ships onto the rocks. And there’s absolutely LOADS to do for all ages. 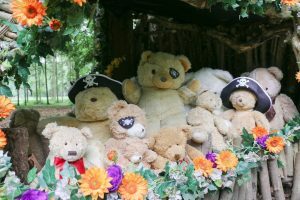 The Picnic Area will be packed full of fun activities for your children to immerse themselves in, including Story Telling and Sing Along on our new stage area, Face Painting, Games Area, Craft Making. 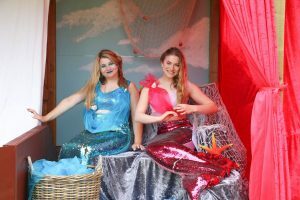 You will also have the chance to meet our very own Audley End Mermaids Pearl, Shelly and Coral and Pirates, Stoneface Steve and Beanpole Bill. 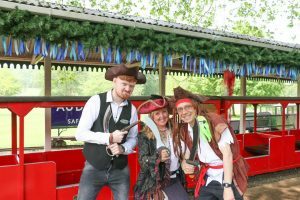 You can also take an enchanting Train Ride through our beautiful woodland estate and dive into the magical land of our Fairy and Elf Walk too! 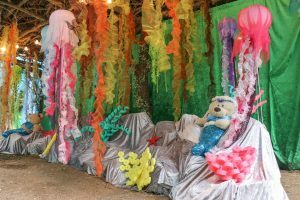 And finally, don’t forget that if you love dressing up, then feel free to wear your best fancy dress outfit – and that includes Mums and Dads too!